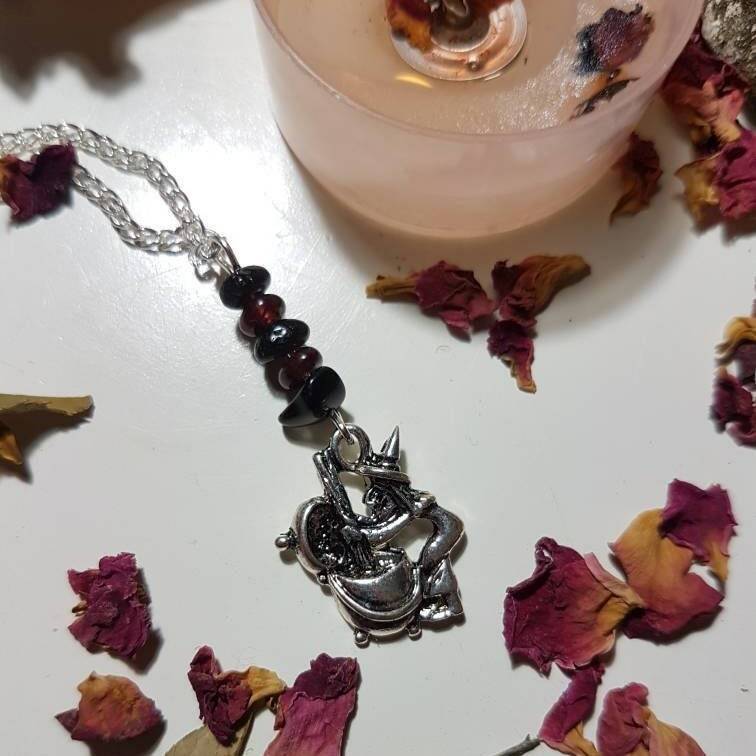 Witch stirring a caldron necklace. Wonderful piece for Halloween. 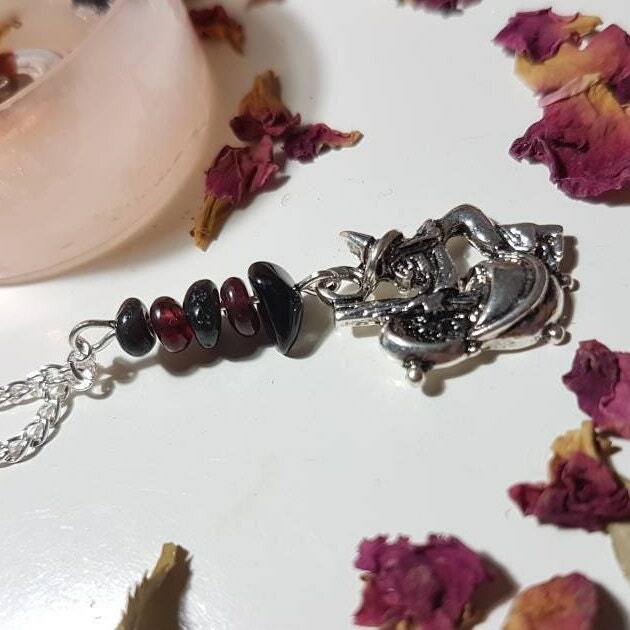 With gemstones connected to Halloween/Samhain, Red Garnet and Black Obsidian. Garnet is said to boost the immune system and energy levels. 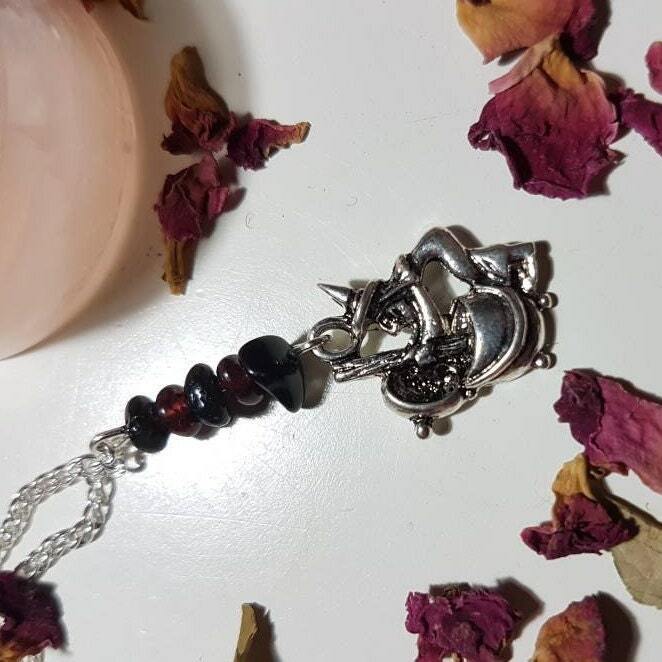 A stone of commitment, Red Garnet represents love. It revitalises feelings and enhances sexuality, bringing warmth, devotion, understanding, trust, sincerity and honesty to a relationship. Findings, chain and wire are silver plated and charm is silver tone. Necklace measures 50cm and pendant measures approx. 4.2cm x 1.7cm.